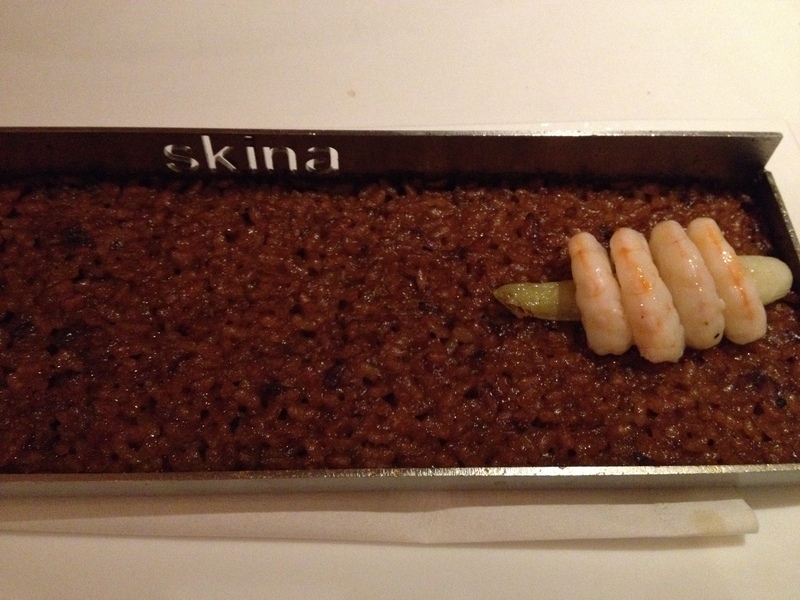 Skina has been around for over a decade, founded in 2004 by Marcos Granda and his wife María Isabel Salamanca and it is a proud member of the 1 star Michelin club since 2008. Located on a corner in the charming historical part of Marbella where the streets are cobble stone and flowers cascade from wrought iron balconies. 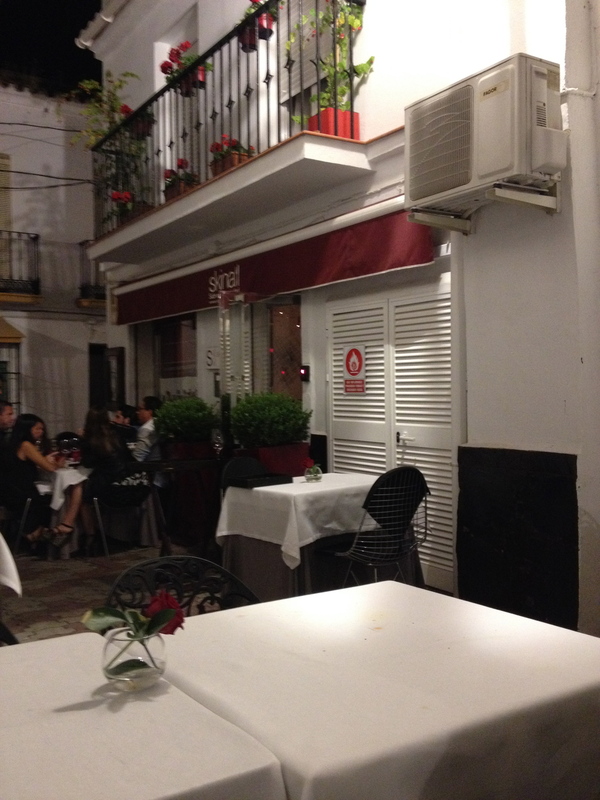 The restaurant is surprisingly small, sitting 14 not counting the terrace tables when the weather permits. 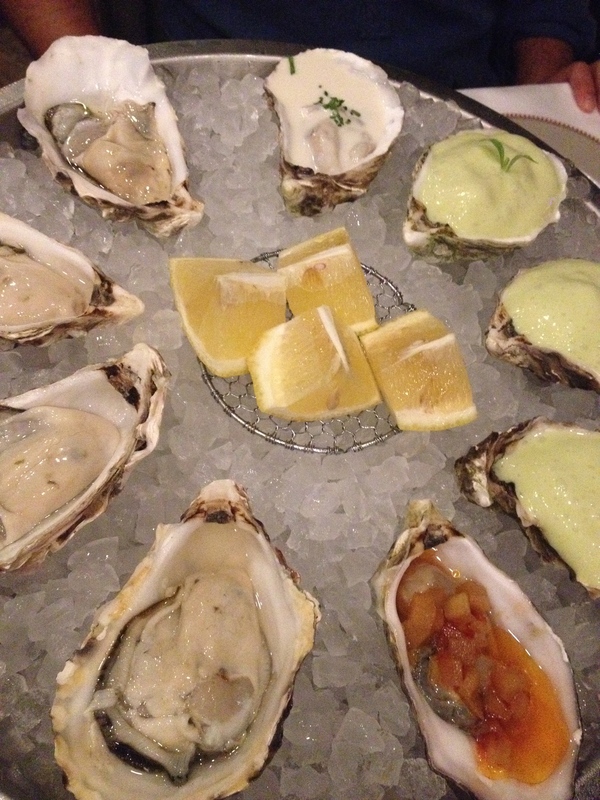 We went there for dinner after a friend recommened it saying that if he could only go to one place in Marbella, he would go to Skina. Another couple came with us and the four of us fell in love with the restaurant. The wine list is well chosen and reasonable priced which I always say is a huge plus. You can only order sampling menus which range at 98.90 euros for the Andalussian or an A la Carte Menu (3 courses) for 84.90. Note that they only open for dinner. 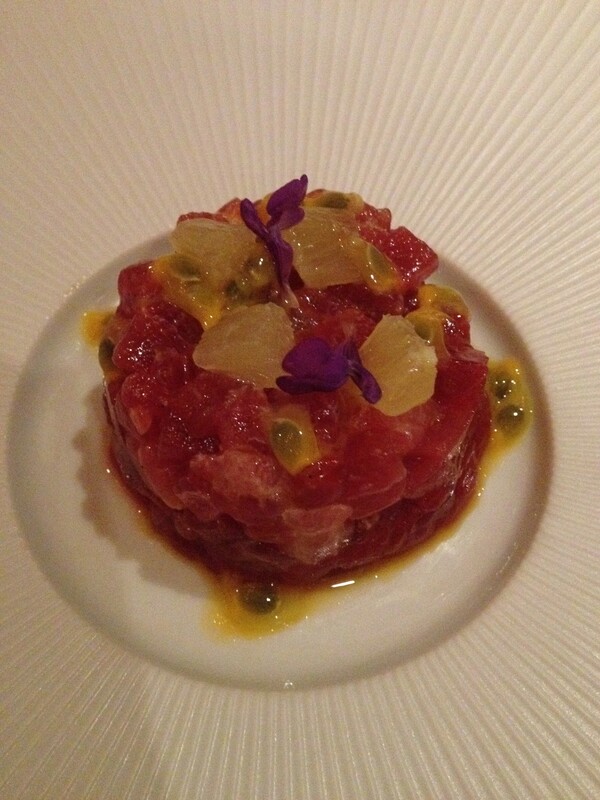 or the red tuna tartar with watermelon and passion fruit are both Starters. 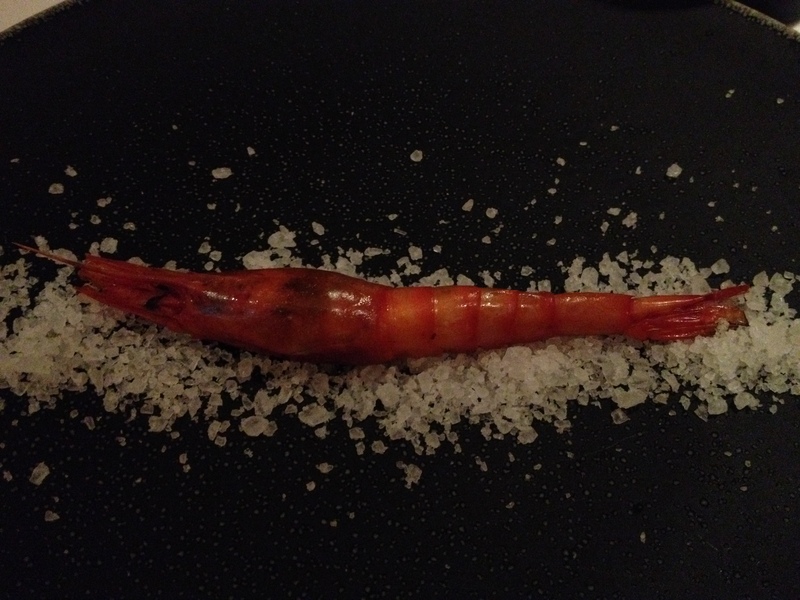 We all loved the red prawn so much that we had another two for dessert. Simply delicious! 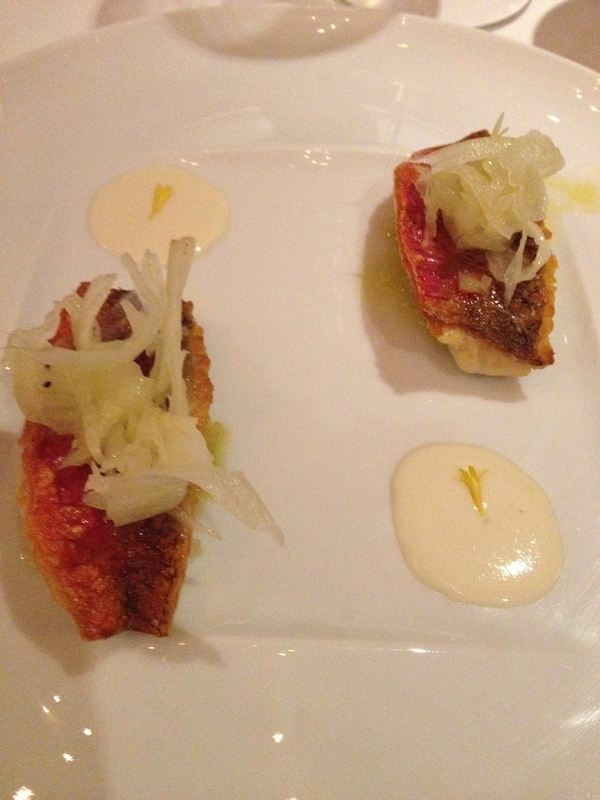 For the main course, local red mullet served with fennel and horseradish. 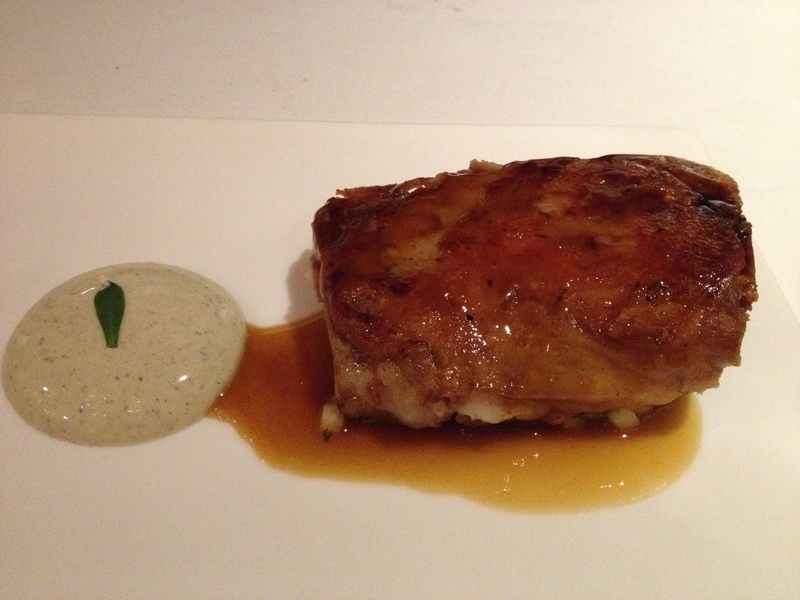 Andalussian pig, served with mango and local cheese cream. 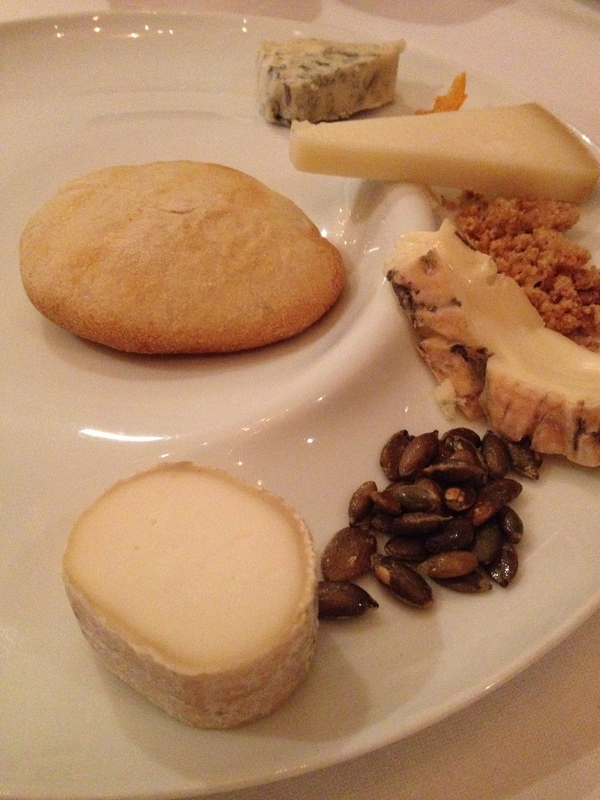 and the cheese platter was tasty. 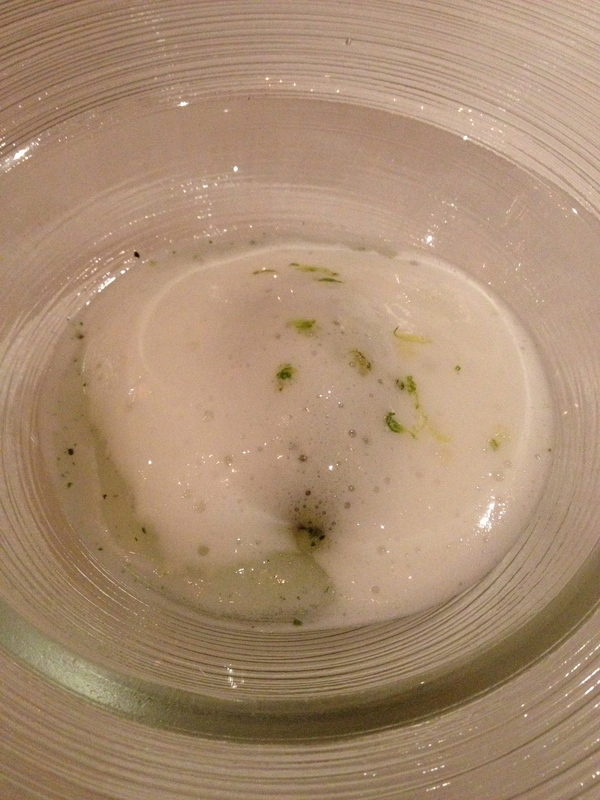 I am sure that if you have already been to Skina you will agree with me that it is highly recommendable and if you haven’t, I would put it on my restaurants-to-visit list for 2015. Fall is here but in Marbella the weather is still mild and alfresco dining continues to be a very appealing option. Some of you might actually be planning a get away to enjoy the last rays of sun before winter sneaks in. In Puente Romano, a five-star hotel, you will find Bibo, Dani Garcia’s informal restaurant which is located right next to his flagship Dani García Restaurant. Bibo is a fun informal place for lunch or dinner located around the hotel’s courtyard, which is shared with other restaurants. Bibo is decorated in a laid back but stylish style. The wine list is packed with options and it is nice to know that champagne from small producers is very reasonably priced.